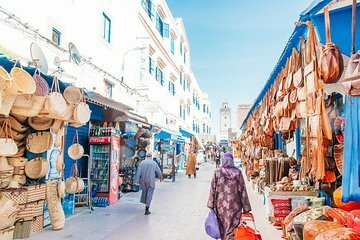 Landlocked Marrakesh isn’t known for its oceanside views, but you’ll enjoy a day out on the Atlantic coast during this round-trip excursion. Discover the ancient port city of Essaouira, a UNESCO-listed windsurfing hub famous for its Portuguese-era walls and stunning waterfront. You’ll make several stops along the way, passing women-farmed argan tree plantations and enjoying time for an en-route coffee break.